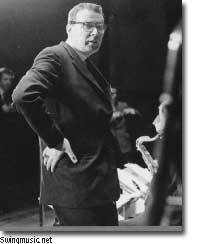 The recordings by Harry Arnold And His Swedish Radio Studio Orchestra were orginally issued under the Jazztone Mystery Band banner and swing from start to finish. An overlooked and now obscure figure in jazz, Harry Arnold led an incredibly tight, talented, and swinging big band in the 1950s. Arnold knocked American critics on their collective ears with what was to become known as the Jazztone Mystery Orchestra named after the record label they were first signed with in the U.S.
Harry Arnold studied clarinet in 1937 and 1938 and started arranging without the benefit of formal study in 1938. He claimed to have learned the technique of arranging through analyzing the works of everyone from Ravel to Basie. Arnold led his own band in Malmo from 1942 to 1949. He then went to Stockholm as a tenor man and arranger with Thor Ehrling�s band taking his own outfit back to play weekends in Malmo from 1952 to 1954. In 1956 he organized a 17 piece group to play weekly radio broadcasts (except during the summer) in 1956. The music of Harry Arnold And His Swedish Radio Studio Orchestra hit the states in the late 1950�s. Author George Simon recounted Claes Dahlgren, Sweden�s Jazz ambassador, walking into Simon�s office and in a very modest and disarming manner leaving some tapes of the band on Simon�s desk with a polite, �give a listen if you have the time.� Simon and his colleagues were so knocked out by the tapes they played them to others to get second opinions afraid their ears were deceiving them. One of the most memorable jazz events in 1958 was a 25-year-old Quincy Jones making his third trek to Sweden and recording with the Harry Arnold band as documented on their second release on Jazztone. Existing recordings of the band are scarce but can be found through European dealers on CD. Swinging cuts include the band�s theme Stand By, Jersey Bounce, Room 608, Count �Em and Wrappin It Up. 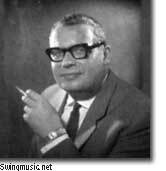 Harry Arnold died in 1971 having left the music business to pursue other activities.